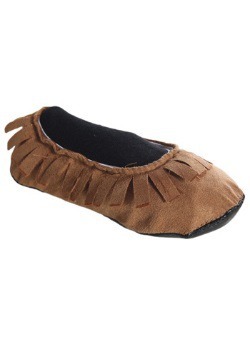 When you put on our Native American inspired costume, you'll be taken back in time to the olden days! Back to the days of the Wild Wild West, When the new American citizens were expanding west, looking for gold. 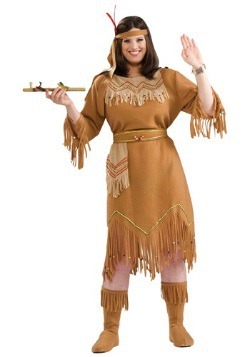 This costume will have you itching to get outside and enjoy the great outdoors! Waking up in the morning and stepping right out into the crisp morning air. You can walk down to the stream and take a drink of fresh spring water, before finding yourself a bite to eat. You can walk through the forest, looking for all kinds of wildlife. Doesn't that sound like such an amazing way to spend your day? It certainly does to us! Our Native American inspired costume is made of 100% faux fur, so you won't have to worry about if any animals were harmed in its making! 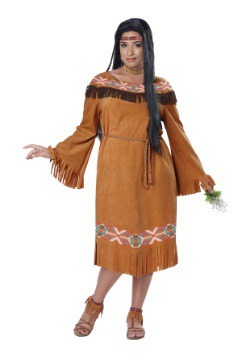 This costume starts with a sleeveless dress edged with fringes along the bottom. The bottom has an overlapping layer, making it appear to be wrapped around you! Over the dress, you'll be wearing a shawl around your shoulders. The shawl also has two layers of fringes, the lower layer hanging almost down to your elbows! Last but not least, there is one final touch for this costume. The final touch is the headband you'll be wearing around your head. 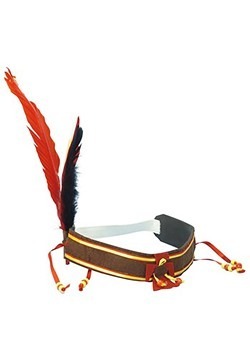 It's a brocade ribbon headband, with a slot in the back for the feather! 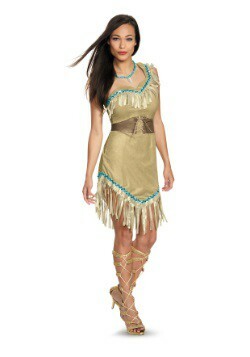 These three pieces are all you will need to have a complete costume! 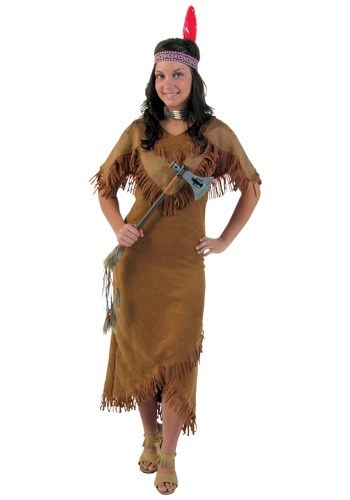 This costume could be used for any number of purposes, whether for a play, or a reenactment, or anything else. Whatever your purpose is with this costume, we hope you have a great time! 7X - £29.99 Only 9 left!